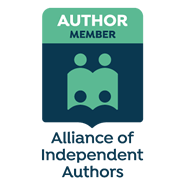 S. Amaranthine – Author | Orcas, Whales, the Multiverse and Time Travel! Bookmark and Explore this site’s cool trailers, reviews, selected playlists, trilogy related concepts, author interviews and more. If you would like to write a review please leave a message under Leave a Reply in the comment box below. I have read (and RE-READ) The Vencello by S. Amaranthine, and I can’t stop thinking about this novel. 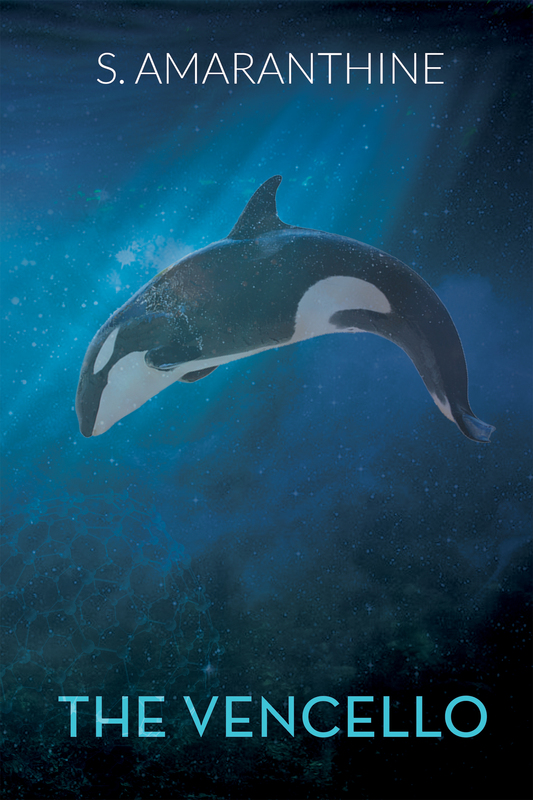 The book focuses on the connection between four main characters–a woman, a man, an orca matriarch and a sperm whale (master)–that are drawn together by tragedy and become truly connected by something much more. Ms. Amarnthine’s writing is poetic and the story draws you in and compels you to keep turning the pages while dreading the moment that the story ends. (Good news, there are two sequels!) Fans of science fiction/fantasy, marine mammals and reamers like me who still hope that chances for redemption, reunion and a way to change the past to create a better future NEED to read this book! I just finished Orcasekai ! It’s taken me longer than I’ve ever taken to read a book , partly due to health problems but I Purposefully slowed myself down to take every word and phrase in. I’ve devoured each sentence and digested each chapter . All I can say is wow ! So deep and involved , where science, spirit and future join together as one ! What am I going to do now ? No more to read in the trilogy !!! THANKYOU Sue Amarinthe for your amazing ability and for shining a light on some of my world ! I Love you Ma Nobblett. Thank you for reading! As a biker chic who rides her motorcycle to bring awareness to the horrors of Orca captivity I found The Vencello to be the world I want to live and ride in, the spot on description of a different realm where family bonds and life transformation is something we all seek but not all find. Fascinating! After reading S. Amaranthine’s first book, the Vencello, I was anxious to read her second book, Cetapiens. I was not disappointed! In fact, I would say that it is the most unique book that I’ve ever read. So much so, that it even compelled me to write my first book review ever. S Amaranthine’s writing style is so descriptive that you are transported on a journey through many different worlds. The imagination of the author is absolutely amazing! So well written, that you actually feel like you’re in the water with the wales, orca’s, and humans. I’m really looking forward to the third book to come out. I cant contain my excitement after reading your books. Finally literature I can relate to!! I LOVE your books !!!! you touch on connection perfectly. As an animal communicator and healer ( member of Shelter Animal Reiki Association , Sea Shepherd, Spirit communicator, Artist , mother of 3 two legged and multitude of feathered, scaled , furred, 4 legged) I can tell you first hand about those sonic waves of communication you write about , that nearly knock you off your feet until you learn to adjust…. The pull in my third eye or pituitary gland is like nothing I can explain …. Deep harmonic sounds that open your soul and read you in an instant. The know you in a second, they know your body inside out, can see your scars bodily and otherwise, and instantly know your own vibrations…which you describe so perfectly! I can also tell you that once you have connected that connection never disappears, these souls are far more advanced than most of us lowly humans. they are here with a soul contract and to teach us that which we have forgotten. 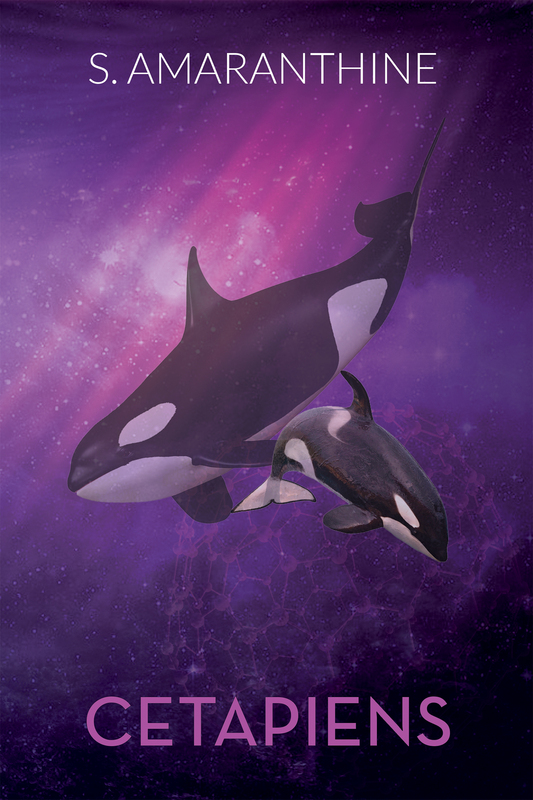 I know this from experience , I have been literally dragged – thrown from what I was doing ( working) like someone got hold of me and threw me to get to Tilikum when he was ill at first – the connect was so strong I could not stand up….. I was over 25 miles away and dropped everything, drove like a lunatic and ran to Sea World to give him healing. I have worked with many animals in the past (I was the kid at school with no friends, seemingly talking to myself…however I was never lonely as everywhere I went I had a pack of neighborhood pets with me and I spoke to them, just like they spoke to me) from Leopards, tigers, bears, reptiles, birds, dogs, cats, even alligators, but the connection between cetacean and human is something very special and powerful. If only the human race could put technology down and learn that higher intelligence is here on this earth and has been for hundreds of years. They are waiting for us to catch up. I feel like shouting YES this is me, I cant put your writing down and cant say THANK YOU enough !!! Thank you so much for reading and for the kind comments! Cheers! Before reading Cetapiens, make sure to read the first book of the trilogy, The Vencello for optimal reading comprehension and pleasure! It was amazing, I finished this book on the plane while taking a trip to Florida. I affected how I saw the ocean once I got there. A school of dolphins just happen to “show up” at the beach. Was it serendipity? It was like I knew were aware of me on the beach. I really do think now that they are aware of us even if we are not in the water. 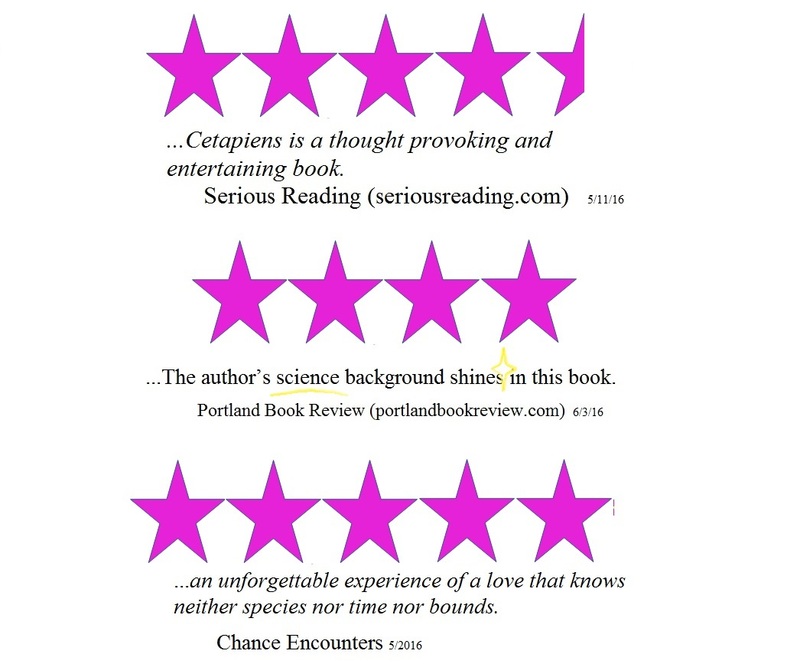 5 stars from reviewer Chance Encounters on 5/29/15 – Cheers!